Are you feeling lost trying to figure out what type of content to write in light of Google Hummingbird? Do you want to invest more time and effort into your blog this year? Google Hummingbird has many of us writers biting our nails as we are trying to produce (what we hope Google will agree is) quality content as much as possible. Partly, that’s because there is so much about Google Hummingbird that we still need to learn. The other part is that more and more bloggers are entering the blogging world adding some competition. Now more than ever, bloggers are increasingly producing great content. With that in mind, how do we step up our content? How do we choose which types of articles that will rank well? These are the questions and thoughts that I’ve had all week. So, I started researching. Today, I want to share with you my findings. Below are 6 types of standout content tips for Google Hummingbird. These educational and informative articles are really the bread and butter to any blog. This type of article is likely to do well with Google’s Hummingbird because it answers the user’s question. Quick Tip: Use words like quick, simple, and easy. This is the type of content that is always useful. Year after year these blog articles continue to place well while requiring little to no maintenance for you. These types of articles tend to be in-depth, have already stood the test of time, and are about a topic your readers will eat up. Quick Tip: Spend time of these articles and don’t be afraid to push the word count up. FAQs are a great type of content generator. You can write a blog article that answers multiple questions about a specific topic. Or, another idea I discovered that was too great that I couldn’t help but share. Tommy at Search Engine Journal suggested that when you are building your website’s FAQ page, link each of the answers to an article on your blog. You have the ability with a blog article to answer the question more in-depth. Quick Tip: This is a great place to showcase how you can provide your clients and readers with the answers they need. This type of content really speaks well to the “user intent” we are seeing from Google Hummingbird. Articles using this type of content are directly answering a problem that you are anticipating that your readers have. Quick Tip: Here is another arena where you really want to keep things simple. These are your 7 Ways, 3 Secrets, and 6 Types of articles. Readers often skim over articles. Bullet points and numbered lists allow for even the skimmiest of skimmers to understand what you are trying to say. The list format ranks well with the easy-to-read factor that is required of blog articles. Quick Tip: Provide each bullet or list point with high-quality content. Don’t be afraid to dive deep into each point you are making. Google loves in-depth analyses. These articles seek not to just simply provide an answer to a question. They seek also to provide rich and concrete reasoning along with a helpful resolution. Quick Tip: Ask a question on your blog as well as other social media sites. Once you’ve received a good amount of data, compile it and produce an in-depth article presenting the data. Providing unique content in a world where everyone is trying to do the same thing can be frustrating and even disheartening. 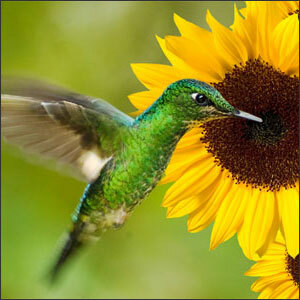 Not to mention, we are still learning so much about Google Hummingbird. These 6 types of content, however, will help us to continue to produce quality, user-intended articles that will be so good that Google Hummingbird won’t be able to help itself. What are your biggest questions when it comes to Google Hummingbird? Please let me know in the comment section below. Love, Love, Love these quick tips, Christine! We’re all going to have to do a much better job with our content – and these ideas are the KEY to getting there. What a great list Christine. I think that if anyone is in doubt, then the best thing to do is to ask yourself – ‘What information/content would I find useful/helpful/inspiring’ and go from there. Your pointers really help with this. AWESOME tips! Thank you for following up on your previous Hummingbird post with some concrete actions I can take. I’m bookmarking this for later – and plan on implementing one each week! AWESOME!